October has been another busy month which has taken me to some very different locations to meet a wide variety of people. Volvo Penta and Amer Yachts hosted a Sustainability in Yachting forum in San Remo and I was invited to speak about my experiences as an ocean advocate. The event brought together representatives of manufacturing, yacht design, marine biology so that we could all engage in a round table discussion about the future of sustainable yachting. Volvo Penta and Amer Yachts have collaborated on innovative technology for the Amer 94 super yacht, which has been specifically designed to be more efficient, and have much lower emissions than other systems while still maintaining the standards expected of a super-yacht. It is encouraging for me that companies within the marine industry are working together to develop technologies that will put significantly less strain on the planet and allow consumers to make sustainable choices. Having spent over a year training or competing in my last event, I have finally been able to devote some time to the voluntary work I undertake for two very deserving causes. 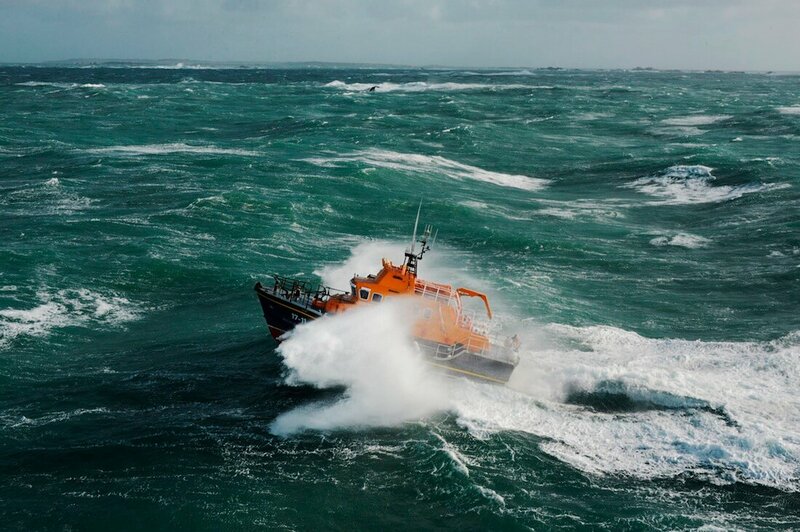 First up was a week with the RNLI, undertaking a coast review along the West Coast of Ireland as part of the Operations Committee. 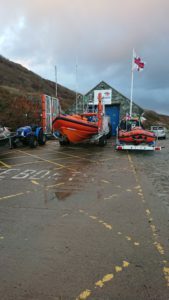 As we travel along the coast and visit the RNLI stations we focus on a number of areas. Are the stations and lifeboats in the right places? Are there sufficient volunteers? Have activities in the region altered and have the needs of the area changed? Are we doing enough to support our volunteers? With fund raising being essential, are we doing enough to support our donors and attract more? These are just a few of the areas we look at and discuss as a team. The Atlantic hits this particular area of coastline hard, which makes for an extremely tough environment for rescue teams to work in. Needless to say, we met some incredibly brave and inspirational volunteers that put the welfare of others before themselves on a daily basis. Even though I have been involved with the RNLI for some time now, I always come away from these reviews in awe of the people I meet that think nothing of risking their lives when the call comes. From the windy west coast of Ireland it was a complete contrast when I landed on the balmy east coast of the USA. This trip was made in my capacity as Chair of the World Sailing Trust. I had been invited to speak at the World Sailing Conference in Florida and participate in a forum on sustainability in offshore racing. The atmosphere at the conference is always very positive and everyone eagerly anticipates the World Sailing Awards night particularly. 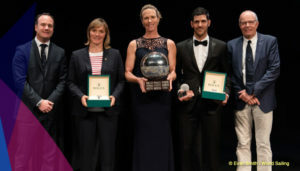 Two of my fellow competitors on the Volvo Ocean Race, Carolijn Brouwer and Marie Riou, picked up the Rolex Female World Sailor of the Year award and Olympic medallist and Laser sailor, Pavlos Kontides walked away with the Male Rolex World Sailor of the Year award. British yachtswoman Dee Caffari is the first woman to have sailed single-handed and non-stop around the world in both directions and the only woman to have sailed non-stop around the world three times. In 2006 Dee became the first woman to sail solo, non-stop, around the world against the prevailing winds and currents and was awarded an MBE in recognition of her achievement. © Copyright 2018 Dee Caffari Ltd.